Today over at The Gardener’s Cottage, Janet had a link to Small But Charming. Jane is having a “Flowers in the House” link party and you must go and check out all the beautiful spring flowers in everyone’s lovely homes. This is what I have today. Not a lot, but I’ve been making these little herb arrangements and I just planted zinnia and dahlia seeds. I think I’m about 60 days out from having lots more to choose from. Love the flowers by candle light!White is still my all time favourite colour for bouquets. 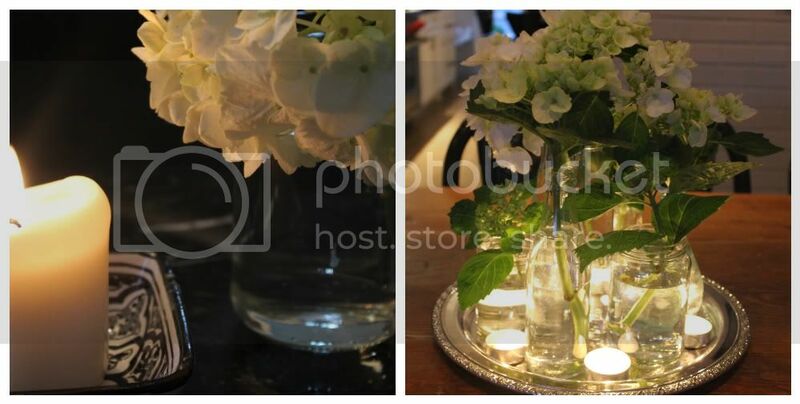 White flowers, a silver tray and candles … magic! Hello Annie:How delightfully charming this post is and, like others, we love the flowers with the lit candles – absolutely perfect and inspirational. Absolutely perfect! I love the tray of flowers with the candles – so pretty! 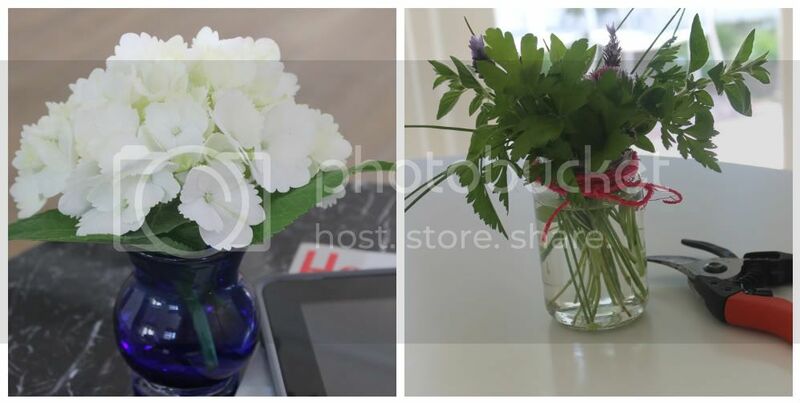 I love the flowers and the candles – it is relaxing just looking at these photos! Thanks for sharing. love your arrangement with the candles – it's so pretty!